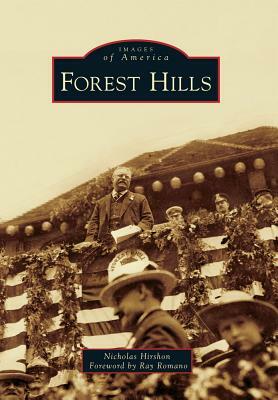 Forest Hills grew out of an experiment the transformation of 142 undeveloped acres into America's first garden city. From the early renderings of 1909 came a fairy-book suburb, as Sinclair Lewis wrote, with architecture that was inspired by medieval villages. The success of the community bred development of homes, churches, and businesses on nearby plots. Forest Hills landed the most prestigious tennis tournament in the country. Theodore Roosevelt visited. Helen Keller moved in. Only generations later would the peace shatter when residents viciously protested a historic proposal for public housing.